000, Police, Fire or McDonalds? I’m sure Denis Napthine thought he got away with it not being mentioned here yet, well we did give you a chance to break the mould of the same BS we get from politicians. But Denis you have failed. Two major political standoffs are have not been resolved. The Tecoma No McDonalds protest is well into its 10th month, and now ambulance paramedics are audacious enough to want to be able to afford to eat when they go home. There is little point in having McDonalds restaurants causing terminal illnesses and traffic congestion (and accidents) in Tecoma, if the paramedics cant afford to eat what McDonald’s tries to pass off as ‘food’. So what is Emperor Napthine doing about all of this? Just threaten them all to shut up and don’t cause a fuss. 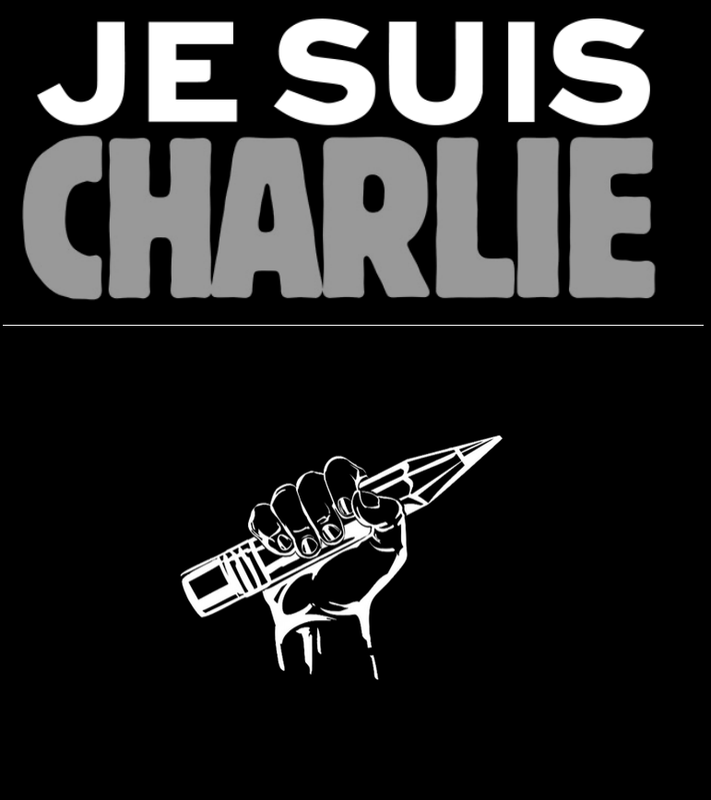 And don’t use social media to promote your cause, that might make me look bad, I wanna get re-elected you know. 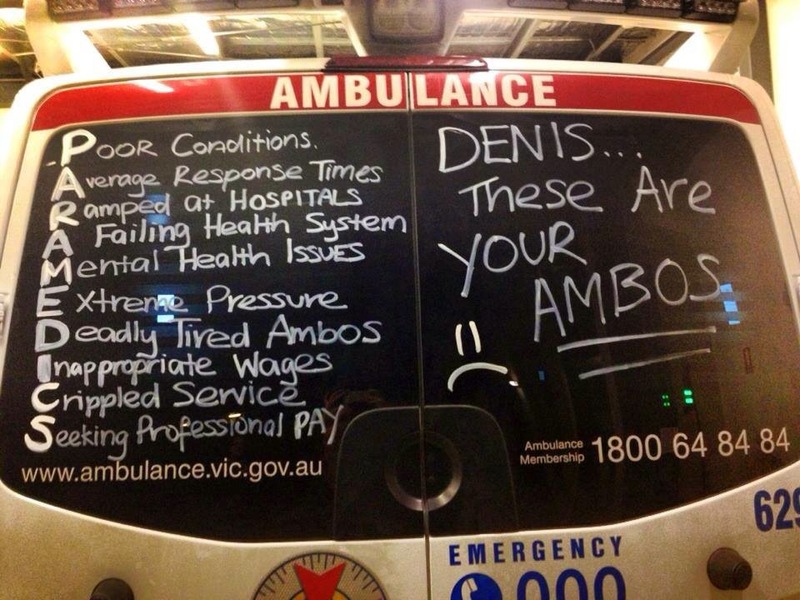 It’s no secret that the Ambulance service in Victoria has been staring down the barrel at a massive budget blow out for many years, the aging population bubble, the penchant the aged have of going for a tree change or a sea change requiring long expensive ambulance ride to the vanishing hospitals. The Victorian State government can’t say this came as a surprise. 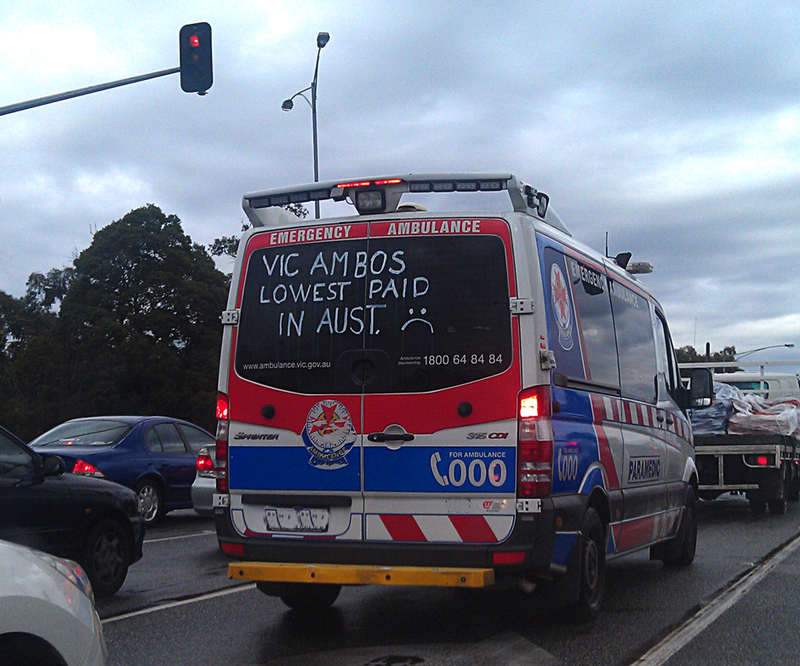 Their only response is to cut costs at the most critical part of the operation, the paramedics (already low) wages. Soon when you call 000, the ambulance will no longer be one of the options relayed to you, McDonald’s will have paid for a promo spot there, so you can have fries delivered to your cardiac arrest. Death? Can I have fries with that? 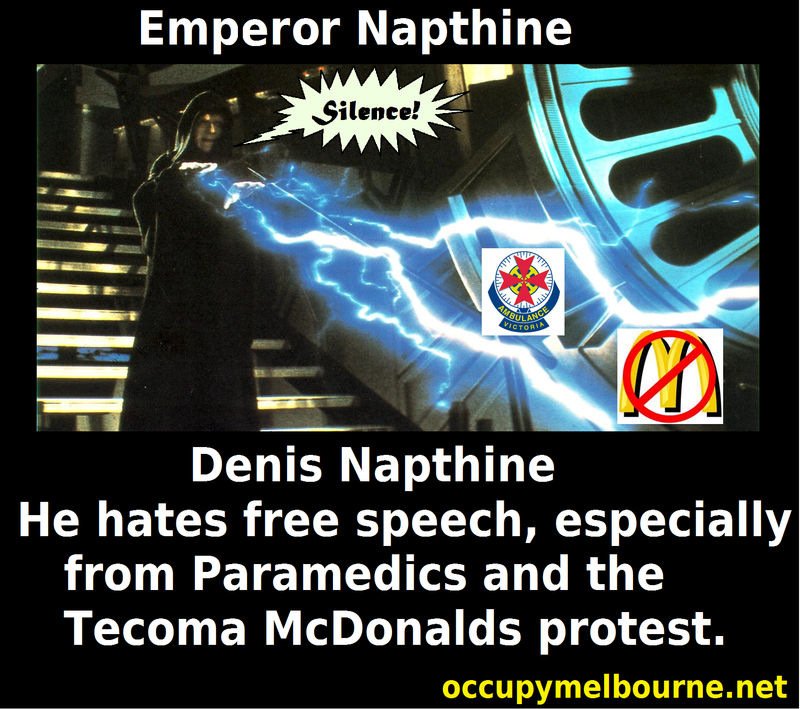 Hi Denis Napthine, welcome to occupymelbourne.net, say Hi to Robert Doyle for us.